Order preprinted sets if your software prints the data only. 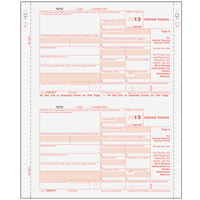 Order blank sets if your software prints the form image and data. 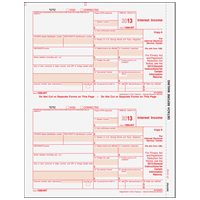 Preprinted red scannable Copy A is included. 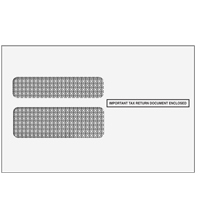 Order the quantity equal to the number of recipients for which you file. Also, order enough to allow for misfeeds, errors, etc. These 1099INT forms are for the current tax year only! 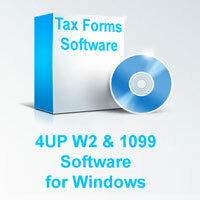 We do not offer tax forms for previous tax years.